Work should always be paid. But still, paid human rights internships are hard to find. On this page we compiled a list of paid human rights internships with organizations and employers around the world. If you are finished reading on this page you may also want to explore our pages on human rights scholarships, fellowships, courses, masters and jobs. The Scientific Responsibility, Human Rights and Law Program (SRHRL) focuses on legal, ethical and human rights issues concerning the application and conduct of science and technology. Undergraduates, graduate students, post-doctorate and law student applicants from all fields of technology and science are encouraged to apply. In addition to a strong interest in science and technology, candidates should have excellent communication skills, a passion for ethics, human rights and the legal system. The American Red Cross provides paid internship opportunities during the summer for undergraduate and graduate college students. Internships provide individuals with valuable hands-on experience working with Red Cross volunteers and staff members on the local and national level. Paid internships last 10 weeks and consists of a 40-hour work week. The media and communications nonprofit organization ReThink Media offers internship opportunities for undergraduate and graduate students. Internships are completed in Washington DC, Berkeley California or Boise Idaho depending on preference and availability. The Office of Human Rights, Alexandria Virginia, pairs interns with the city’s Human Rights Investigators and the ADA Program Manager. Paid internships require up to 20 hours per week, with applications accepted through January. Interns support administration and attend monthly staff meetings of the Commission on Persons with Disabilities. Additional responsibilities include research, client intake interviews, and assistance with Special Projects. Interns also act as liaisons with other city departments and agencies that protect and enforce human rights for disabled persons. Human Rights interns for the city of Alexandria must be currently enrolled in college studies and have at least 60 hours of completed coursework. Recent graduates of 2 years or less will also be considered. Applicants should also be pursuing a Master of Public Administration degree or a Juris Doctorate in the same field. Individuals with a background in or at least profound knowledge of the United Nations System may qualify for a 6-month internship with ILGA (International Lesbian, Gay, Bisexual, Trans and Intersex Association). Applicants should have a minimum of a relevant bachelor’s degree and a passion for human rights in the lesbian, gay, bisexual, and transsexual community. Strong analytical skills, a high level of written and spoken English. Those with additional language skills in Spanish, Arabic, French or other UN affiliated languages are highly sought for the internship. Interns will work with ILGA representatives in a virtual setting from their home base. Opportunities to work with affiliated NGOs may also be available in Geneva through a virtual setting as well. Candidate interviews are conducted via Skype or in person in Geneva. Doctors Without Borders/Médecins Sans Frontières (MSF-USA) extends numerous Spring, Summer and Fall internship opportunities based in New York City. Access Campaign Commission, Access HIV and Tuberculosis Policy, Editorial and Multimedia, and Medical and Operational Research are only a few of the internships offered each year. Each internship has different specific application criteria and assignment duties. Potential candidates may apply for more than one term. Assignments will last for 3 to 4 months depending on the term and most often require a 20-hour work week commitment. Applicants must be able to work in the United States without sponsorship and are responsible for their own relocation costs and accommodations. Strong English skills are required in addition to excellent written and verbal communication skills. Internship assignments are highly competitive and those with substantial knowledge and experience in the area chosen will receive priority. Individuals who are currently enrolled in a Master’s program or who have earned a Master’s degree in International Relations, Gender Studies, International Law, or Human Rights are encouraged to apply for a Geneva-based internship. Internships begin in April and end in October. Intern candidates can expect to gain valuable insights and experience working for human rights around the globe, with an emphasis on peace efforts. Tasks may include social media management, blogging, and website management. Administrative support will comprise 30 percent of the internship. Applicants with human rights activism experience and knowledge of online social activism are preferred. Additionally, experience with WordPress, database management systems and task management systems are given high priority during the intern selection process. The position requires fluency in English with additional language skills in Spanish or French preferred. The World Justice Project engages in the advancement of international rule of law. Rule of law ensures social justice, holding governments and other agencies accountable for fundamental human rights in various sectors. Full-time paid interns are based in Washington DC for assignments starting in September. Interns provide administrative support, edit and proofread publications and reports, perform email and telephone outreach, and conduct data analysis. The position may also include other tasks such as preparation for presentations and meetings, creating outreach materials and research. Applicants must have completed or be currently enrolled in a Bachelor’s or Master’s degree program in the area of international affairs, journalism, policy studies or social sciences. Other areas of study will be considered. Candidates should have at least one year of relevant professional work experience as well as excellent research skills and superior oral and written communication skills. Authorization to work in the United States is also a prerequisite. The Human Dignity Trust internship program operates on a rolling basis, accepting applications throughout the year. Candidates are notified when an opening becomes available. Applicants must have a law degree and knowledge of international and constitutional law principles. The internships requires extensive research in the areas of human rights law. Interns will also provide support with administrative duties. Internships are three months in duration with the possibility of extensions and require a 20-hour work week. Candidates must be able to live and work legally in the UK. Demos, based in New York city, is accepting applications for 2018 summer internships. Interns gain educational and work experience in the areas of economic justice litigation, voting rights, research, and advocacy. Intern assignments include racial equity, money in politics, and freedom to vote. Responsibilities include legislative and policy analysis, trial litigation assistance, legal research, and other duties. Applicants must have at least one year of law school and be passionate about racial justice and human rights. Interns undertake legal research in one of JUSTICE’s main areas of policy work: human rights, criminal justice or administrative law. For this reason they seek applications from law graduates only. In exceptional cases, JUSTICE will consider applications from non-law graduates who can demonstrate in their application that they have relevant knowledge and experience equivalent to a degree. The Frank Jennings Internship was set up to give an opportunity for dedicated and talented individuals to gain experience working for the protection of human rights defenders in an international NGO and at the Office of the UN High Commissioner for Human Rights. Honorarium: €1200 per month Dublin and €1400 per month Geneva. Founded 1961 in London, Amnesty International is one of the biggest non-governmental organizations in the world. With almost 7 million supporters the organization takes action on a broad variety of human rights issues. Today the International Secretariat of Amnesty International occasionally offers paid internships in London. Trial International supports victims of international crimes by providing legal assistance, litigating cases, developing capacity, and helping to move human rights cases forward. Applicants should have training in international criminal law, humanitarian law and/or human rights and be fluent in English and French. The internships last six months and require a Swiss work permit. Public Services International is a worldwide trade union that represents 20 million working people who work in the vital public services. It promotes human rights, social justice, and access to quality pubic services. The trade union rights internship communications and campaigns internship provides support external news content and campaigns that advocate for trade unions rights. You should have multimedia skills, a bachelor’s degree in a communications-related field, and fluency in English. The International Aids Society is the globe’s largest association of HIV workers. It has members from over 180 countries who all respond to the AIDS problem around the world. The IAS posts different internship vacancies on its website, but as of December 2016, an internship to participate in the IAS 2017 Information Communications Technology onsite Project. Applicants should be currently studying or have recently graduated with a bachelor’s degree in information technology and have a variety of previous IT experience. Proficiency in English is necessary, and speaking French is a plus. Those living with HIV are encouraged to apply. Applicants need a Swiss work permit. Care International helps to save lives, reach social justice, and to defeat poverty around the world, focusing its efforts on women and girls. Interns learn about global development and health, as well as about other topics of international importance. Additionally, professional development is available through CARE’s online university. The US office hires undergraduate and graduate students who want to support its mission. Interns are hired for fall, spring, and summer semesters. The vacancies for each term are posted on the CARE USA website. International vacancies are also posted for CARE’s other sites around the world. The Reporters Committee fights for freedom of the press around the world and accepts applicants for fall, spring and summer internships at their offices in Washington, D.C. Interns work primarily on the digital magazine and website for the organization. Students with background in journalism and those who recently graduated with journalism degrees are welcome to apply. APT are working with academic institutions in Geneva and around the world to offer graduate students the opportunity to learn about APT’s work and develop a range of professional skills through internships with the Advocacy, Legal and Detention Monitoring teams. In 2016, non-governmental organizations (NGOs) in Geneva joined forces on the common understanding that promoting human rights worldwide must first be applied to basic human rights in their own structures. As a result of this, they started promoting a basic pay (stipend) for their interns. UPR Info is a non – profit, non – governmental organisation (NGO) with their headquarters in Geneva, Switzerland, and two regional offices: in Bangkok, Thailand, for Asia and in Nairobi, Kenya, for Africa. The organisation’s main goal is to ensure all stakeholders seize the opportunity and engage in the Universal Periodic Review (UPR) Process as an effective political mechanism to advance the realization of human rights on the ground. The Equality Internship Programme is a unique internship opportunity for individuals who have a physical or mental disability and are unemployed or under-employed. Offered with assistance from Inclusion Scotland, the program allows qualified individuals to receive a fair rate of pay in a short-term job placement that builds skills and a resume to help interns qualify for permanent employment in the future. FIRE is a nonpartisan, nonprofit educational foundation headquartered in Philadelphia, Pennsylvania. Since 1999, FIRE has effectively and decisively defended the civil liberties of thousands of students and faculty on our nation’s campuses. The Foundation for Individual Rights in Education (FIRE) is offering Legal Research Internships. Alkarama is offering full time paid internships in their legal department in Geneva, Switzerland. The work is varied, non-exclusively extending from research, interviewing of victims and recording of testimonies, drafting of complaints for submission to the UN human rights protection mechanisms, attendance and note-taking at UN conferences including the Human Rights Council, the Universal Periodic Review and Treaty Bodies sessions, synthesizing of information about individual cases of human rights violations, and drafting of reports. The Heinrich Boell Foundation offers internship positions for students who are either enrolled in a bachelor’s or master’s degree program or have recently graduated. Internships are full-time positions that last for 3 to 6 months. Students perform administrative tasks for the human rights organization and complete a policy paper and write editorials as a part of the experience. MADRE is a non-profit organization that fights for human rights, women’s rights, LGBTIQA rights, reproductive rights and healthcare rights for all people. To support their work, the organization offers internships on an as-needed basis. Each internship is different with the job duties, requirements, length of time and qualifications determined on a case-by-case basis. Child Rights Connect is member of the “We pay our interns” initative. 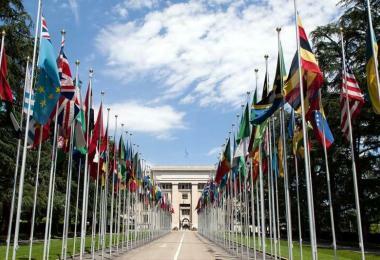 The organization offers 6-month internships with its Secretariat in Geneva, starting in January and July each year. University students and young graduates that are interested in working on child rights at an international level are encouraged to apply. Could not find what you were looking for? Try our pages on Human Rights Fellowships and Human Rights Jobs. Learn about the protection of human rights from United Nations International Children's Emergency Fund. Stanford University is offering a free online course in Women's Rights. Learn about the knowledge and skills you need to protect the human rights of the most vulnerable.